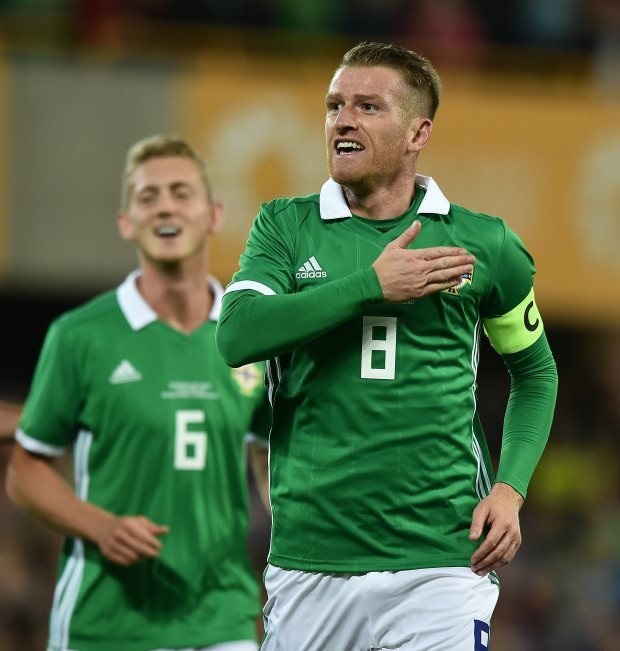 Rangers midfielder Scott Arfield is hopeful that with Steven Davis reunited with Allan McGregor and Kyle Lafferty at Ibrox, the trophies can continue to flow. The Northern Irishman tasted success on a regular basis during his first spell at Rangers, before he headed south of the border to link up with Southampton in 2012. Rangers swooped to re-sign Davis in last month's transfer window, landing him on loan. Davis has encountered familiar faces at Ibrox, with the Gers also re-signing Lafferty and McGregor over the course of the last year – and Arfield is happy the band is getting back together. “He’s [Davis] a top player who has come in with bags of experience”, Arfield told his club's official website. “He fits very well into how we are playing now and while the club has changed a little bit while he has been away, he has come in at a great time to hopefully take it back to the glory days. “It is perfect for us, and as players, you want to play in as many different systems as possible to get these players on the pitch at the same time." Arfield also talked up the benefits of having players who can relate to the fans. “They know what it is to win here, and we have players in there too who are Rangers fans. Davis will be looking to make a big impact for Rangers, with Steven Gerrard's men next in action away at Aberdeen on Wednesday night in the Scottish Premiership.